Today, we are going to completely focus on YOU and your BUSINESS, but before we continue, what is prospecting? 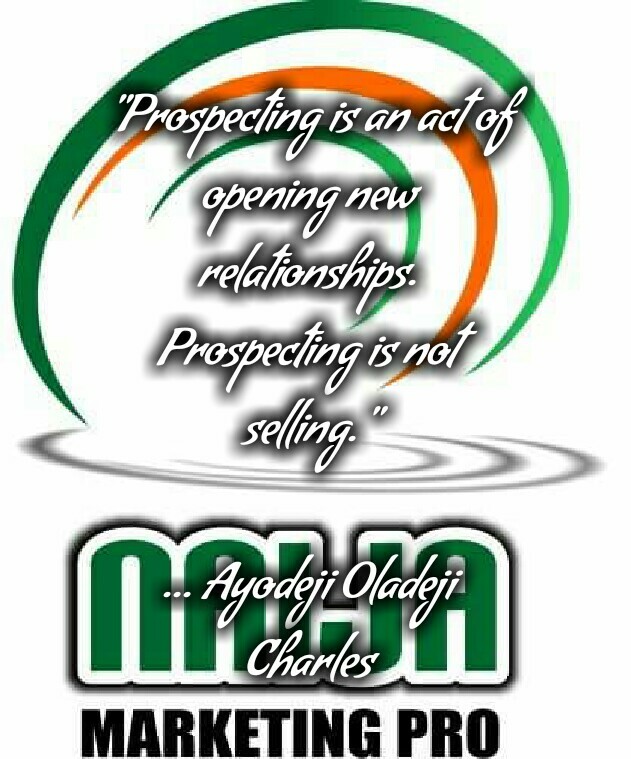 Prospecting is an act of opening new relationships. Prospecting is not selling. To get the success you truly desire in your network marketing journey, you must get this understanding. The secret to a successful network marketing prospecting is easy. Take a look at this, someone just barged into you and started sharing how good the product (e.g body cream) he’s been using is, how great it is and the likes and he wants you to get yours at that very moment that he shared it with you. I know how you will feel, you will feel awkward and kind of repulsive about it. To be realistic, if it were to be your friend, you would listen with curiosity and excitement. This is exactly what most people in the network marketing industry does consistently and they will say that, network marketing doesn’t work. Is it the business that doesn’t work or you that’s not working it? Think about that. 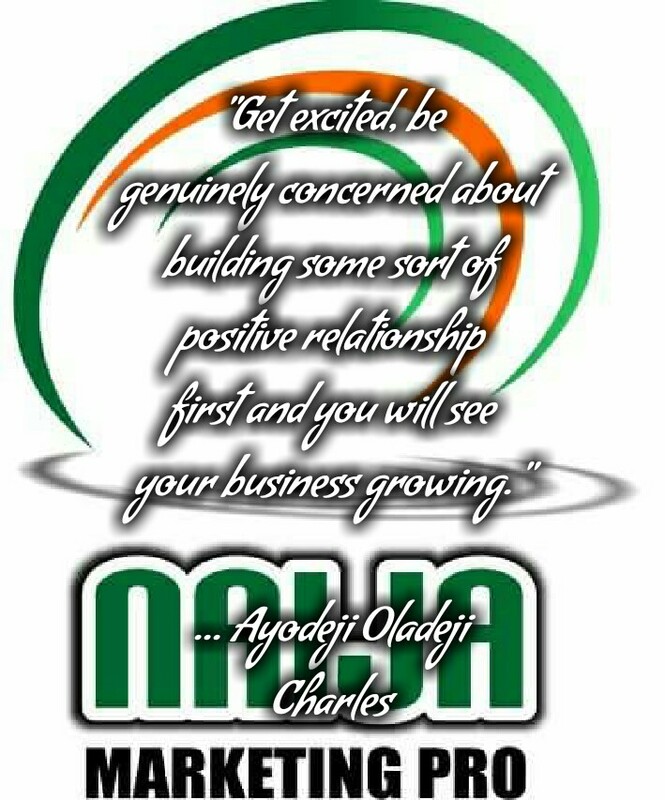 So, get excited, be genuinely concerned about building some sort of positive relationship first and you will see your business growing. So what next? You may ask. Since this post is all about YOU and your BUSINESS. 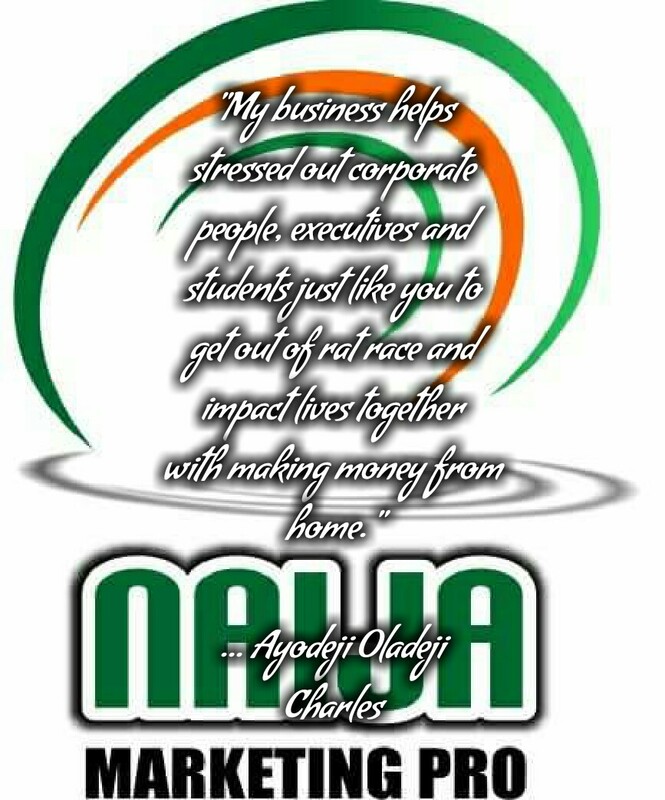 I want to show you how to build your business in a lazy way but in a productive manner. 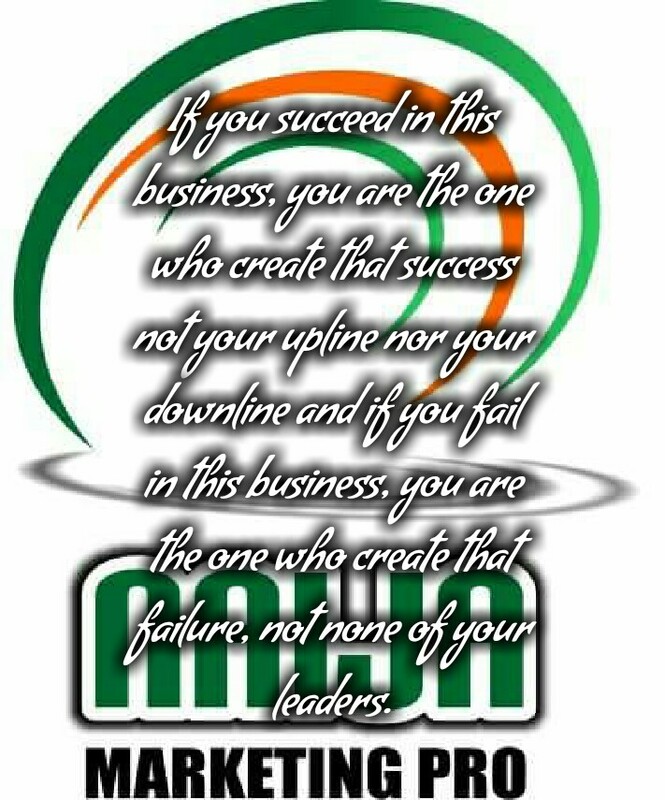 Remember this, If you succeed in this business, you are the one who create that success not your upline nor your downline and if you fail in this business, you are the one who create that failure, not none of your leaders. With today’s post, I am here to guide you every steps of the way but I can’t do it for you, am here to show you the way but you will still have to put in the work and the work is not a hectic one but a lazy one in a productive manner. Step1: send a friend request to your targeted prospect on facebook but before sending it, check if he or she is in your target market specifications. For this to work well for you, you need to have a target market specifications. Everyone cannot be your target market, for everyone to be your target market means no one is your target market and this simply means that you have no target market and with this, you will get nothing more than stagnation in your business. 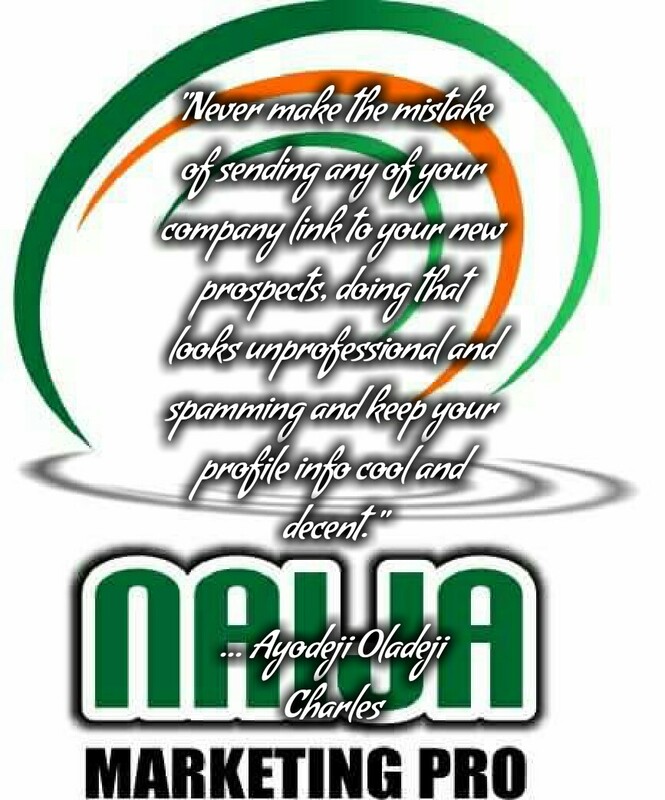 And never make the mistake of sending any of your company link to your new prospects, doing that looks unprofessional and spamming and keep your profile info cool and decent. When you do this, so many things happened to them, they will feel proud of themselves, they will be excited about what you have to share with them, it springs curiosity from their mind and they will like to know more about you, most especially about the business opportunity that you have to share. I do ask that question from them, purposefully so I can know if they have done one before or just about getting involved. then, I will ask, “would you like to know more about it?” I send that because my target market specifications is mainly for the youths between 24 and 30 of age. They will give you time and follow up from there. So, after they contacted you, you will ask this question. Step 4: Based on what you saw, do you see any opportunity for yourself and your family members and friends? Many will say yes, then you ask which of the opportunities do you like best? So, from there, you start speaking to the benefits attached to the one they like best and share a little bit of your story with them. 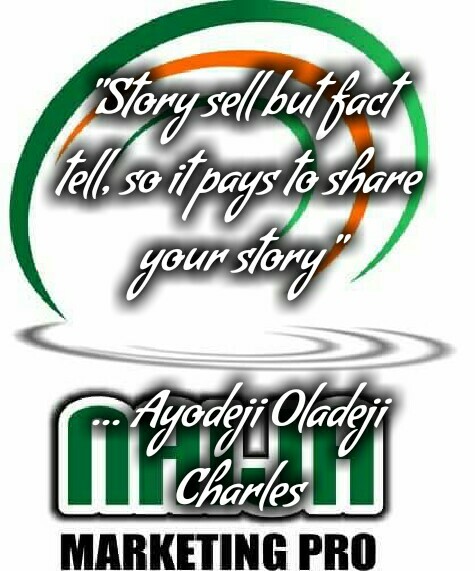 Just tell a story about your experience with the company, if you don’t have a story, share your upline’s own or any success story that’s related to your company because story sell but fact only tell so it pays to tell story. So after the story, you will ask them On a scale of one to ten with one being zero interest and ten being ready to get started right away. Where do you belong? Anyone from 4 to 5 upwards is ready to begin. Quickly show him how to begin. Whereby, anyone between 3 downwards needs follow up, the timing may not be right, just keep following up. Do this consistently and I will see you at the top. « WHAT MAKES NETWORK MARKETING A MILLENNIUM LUCRATIVE BUSINESS ? to my fellow audience if you are ready to succeed in your business specifically networking business, Mr Aoc is that man that will guide you to your success story. Yup, you are right Google is the most excellent in favor of blogging, Googles website also appear rapidly in search engines too. Thank you. I can guarantee your success in this industry. It’s indeed a better way. I trust you bro…ur techniques are always the best. I am bookmarking this site. You’ve earned it.